Hello to World Account – international business banking, without the bank! Pre-registration for the World Account opens today here. We’re really excited to today announce the launch of World Account, an international payments platform for SMEs and online sellers. Created to help businesses overcome the hurdles and costs of buying and selling across borders, the World Account delivers international banking functionality on one easy-to-use platform – minus the cost, hassle and upheaval of traditional international business banking. Many businesses waste time and money trying to open up bank accounts in new currencies These accounts are also often held in the UK resulting in additional cost and delays in payments. The World Account solves that problem. 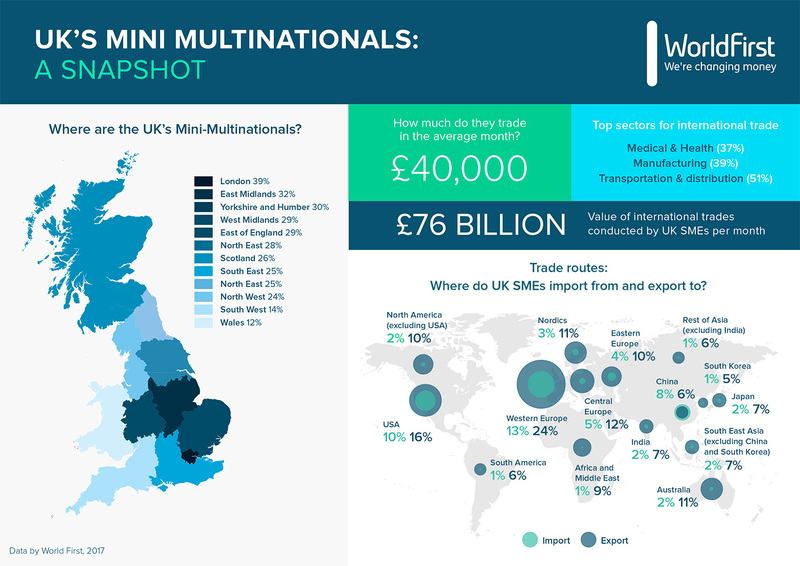 New WorldFirst research shows that SMEs are trading £78bn per month far and wide from China to Costa Rica. Launching in 2017, the World Account signals a step-change in international business banking as the UK’s FinTech industry continues to provide solutions for underserved SMEs. World Account is the first service to offer SMEs and online sellers the same flexibility and control in international banking that is normally reserved for larger, multinational players. There is no cost to open or maintain accounts and businesses can also save money by reducing the number of foreign exchange transactions needed. The new platform will be available to businesses and online sellers in the UK and Europe on limited release throughout summer 2017 both online and through a newly launched mobile app. Additional functionality and more currency accounts will also be added later this year. Ahead of launch, businesses can register their interest from today here: www.worldfirst.com/uk/products-services/multi-currency-accounts/ and will receive preferential access.